A divorce in Pasadena, even when it's fairly amicable, tends to bring out the worst in people. Even parents who are normally very cool and levelheaded may find themselves struggling to keep their emotions in check throughout the divorce settlement process. For this reason, it's becoming common for divorcing couples to be required to complete co-parenting classes. 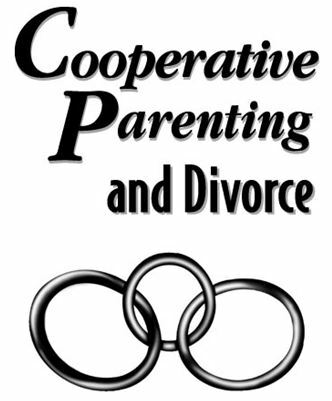 Being asked to complete a co-parenting class does not mean that the judge thinks you and your spouse have done a poor job of being parents. It simply recognizes the fact that it takes different skills to parent effectively when children must be cared for by parents who are no longer living together. Co-parenting classes help you learn how to be respectful of your ex while moving forward with your own life and still doing what's best for your child. You'll learn techniques for anger management, clear communication, and negotiating disputes. Issues surrounding blended families are also discussed, since many children of divorce will eventually have step parents, step siblings, or half siblings. The goal is to help you learn to be an effective co-parent and to minimize the impact that divorce will have on your child. Several different companies offer parenting classes. These classes often have names like "Children in the Middle" or "Kids First." Classes are available at various times and locations throughout the state. There are also online classes you can take to satisfy court requirements. When you're finished, you'll receive a certificate of completion that you can present to the court. Your Pasadena divorce attorney can help you select a court-approved co-parenting class and answer any questions you might have about what the class means in regards to your child custody arrangements. Discussing which class you plan to take with your lawyer before you enroll will help make sure your time and money are not wasted on a class that doesn't meet California state requirements.